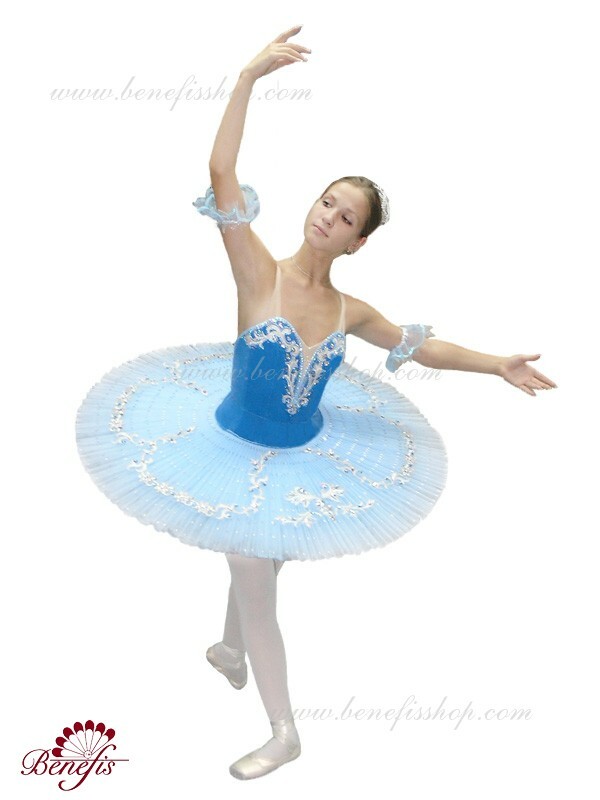 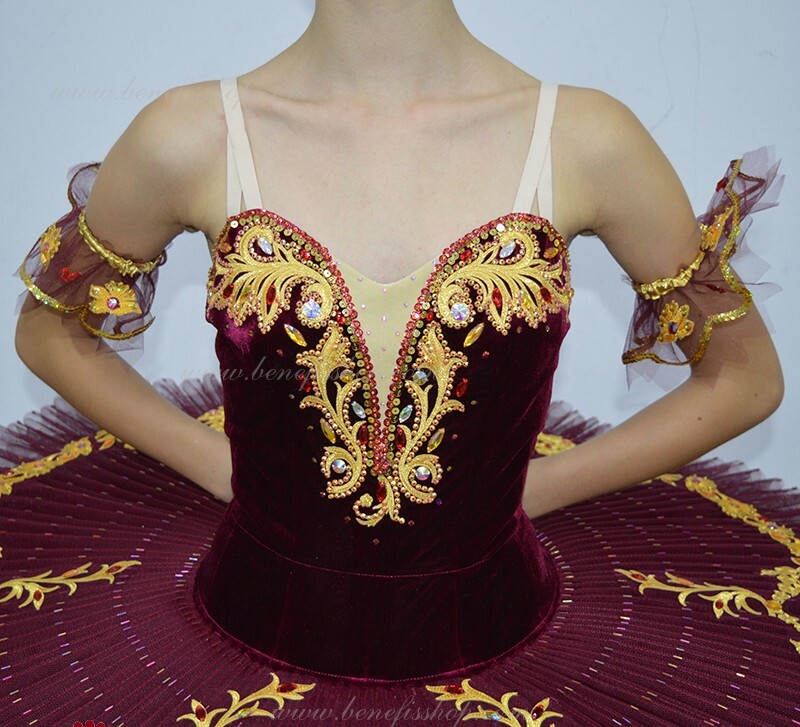 It is a professional stage costume, which is made on the basis of the professional basic tutu #T0001B (see section “Basic tutus”). 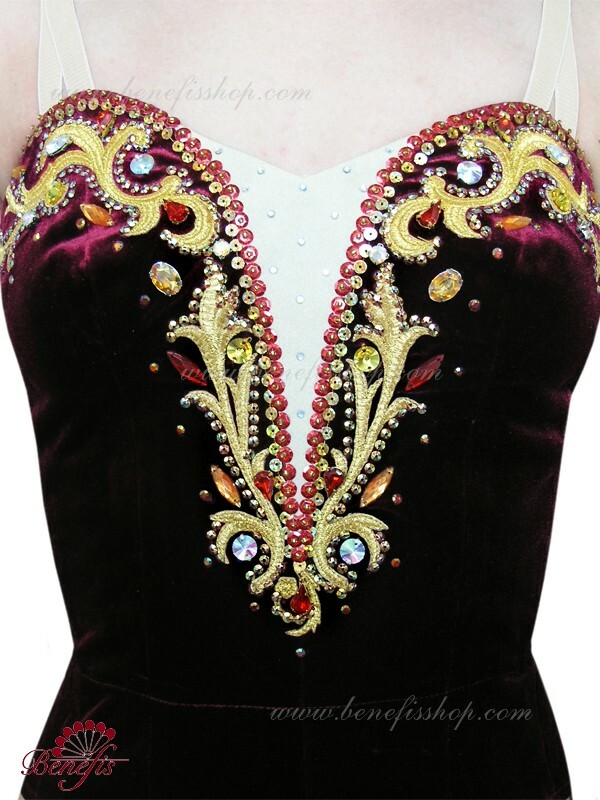 The bodice is made of the semi-stretched dense fabric. 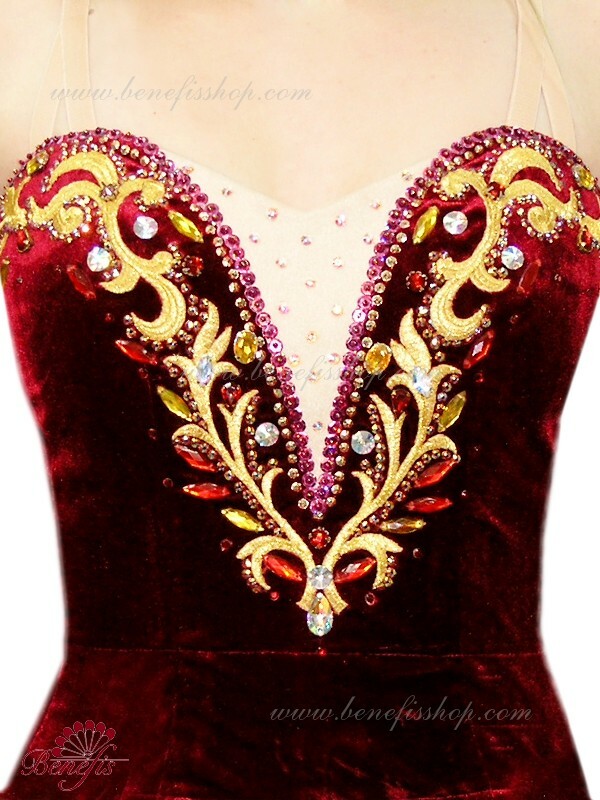 There is a flesh-colored inset on the chest. 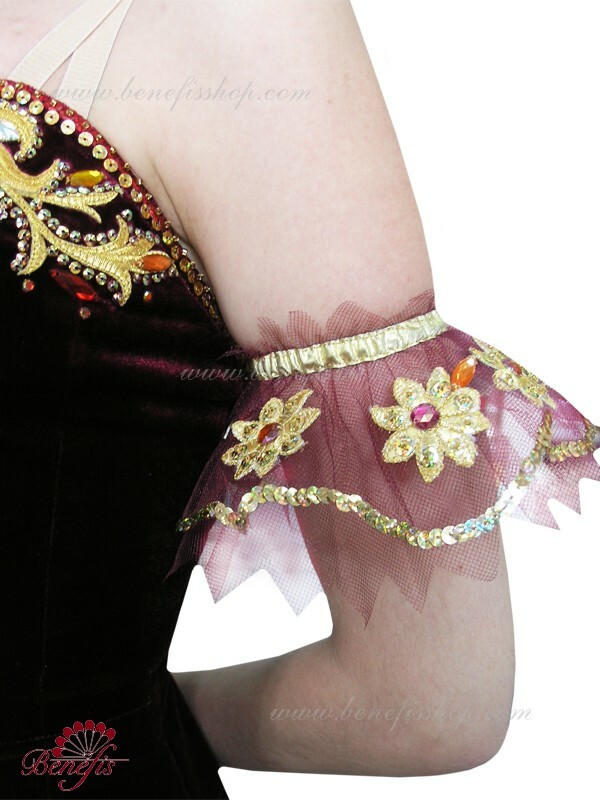 Straps are flesh-colored. 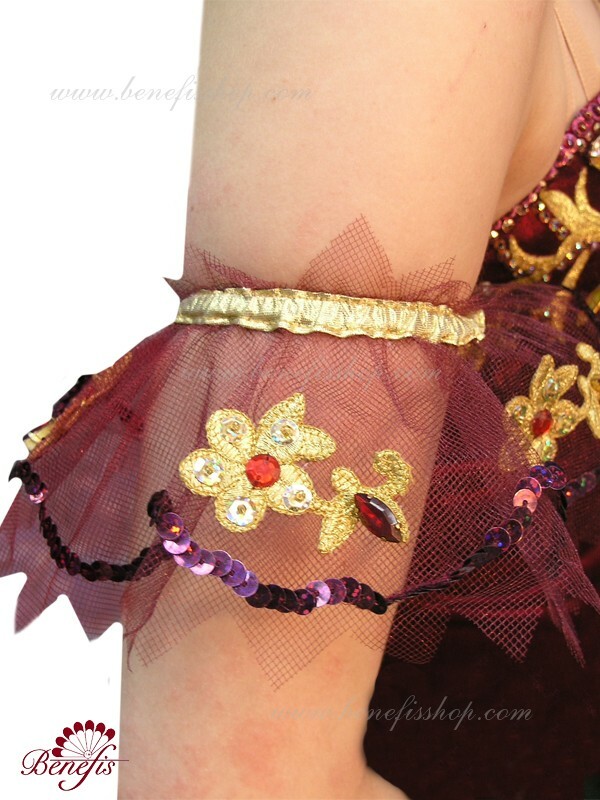 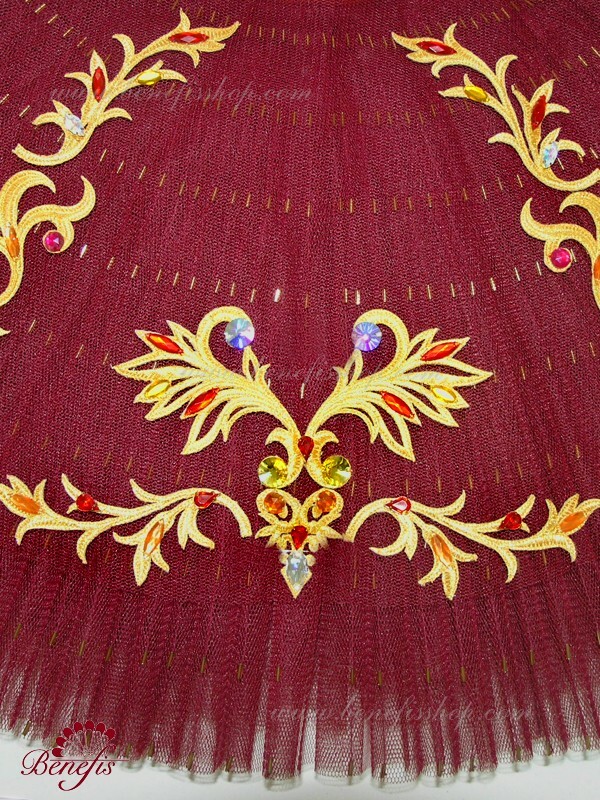 Exquisite applications are used as the costumes décor, along with a big quantity of crystals, bugles, beads, and braid. 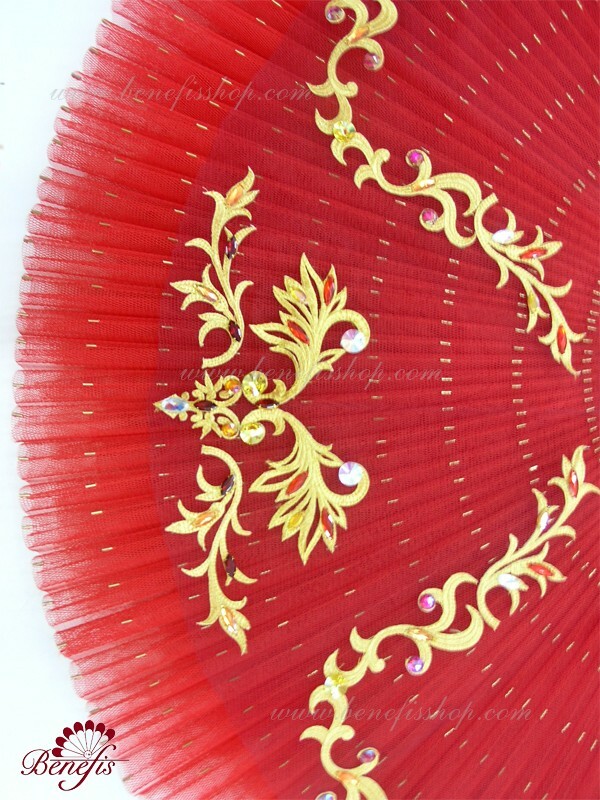 All the décor elements are carried out manually. 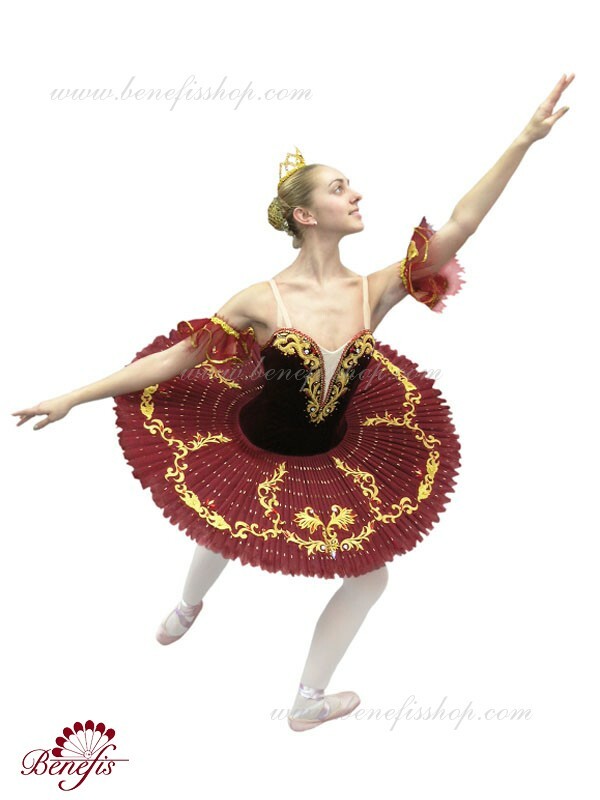 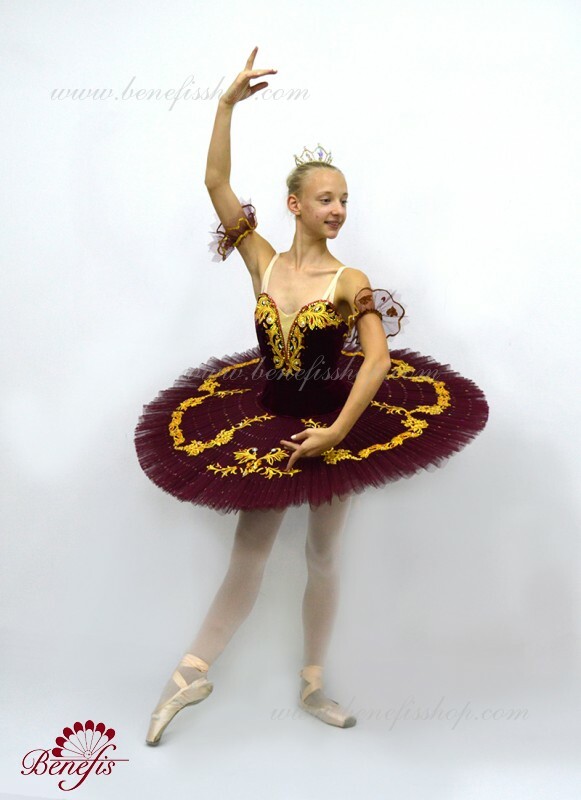 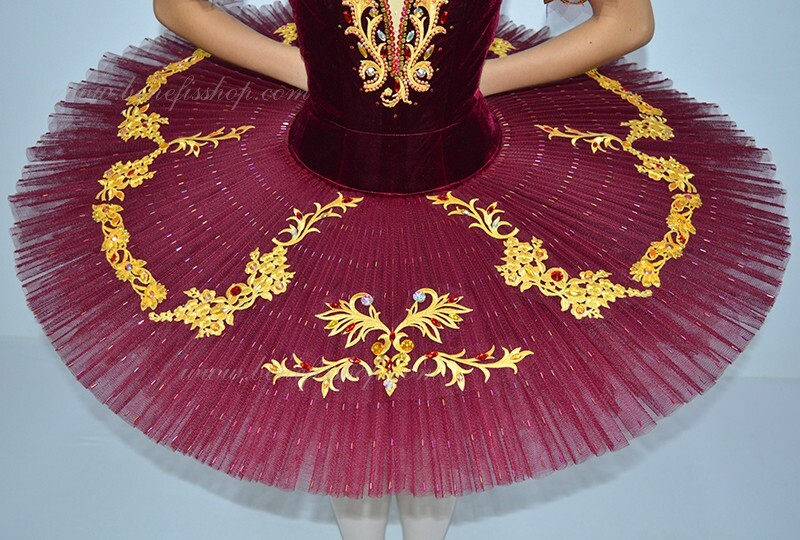 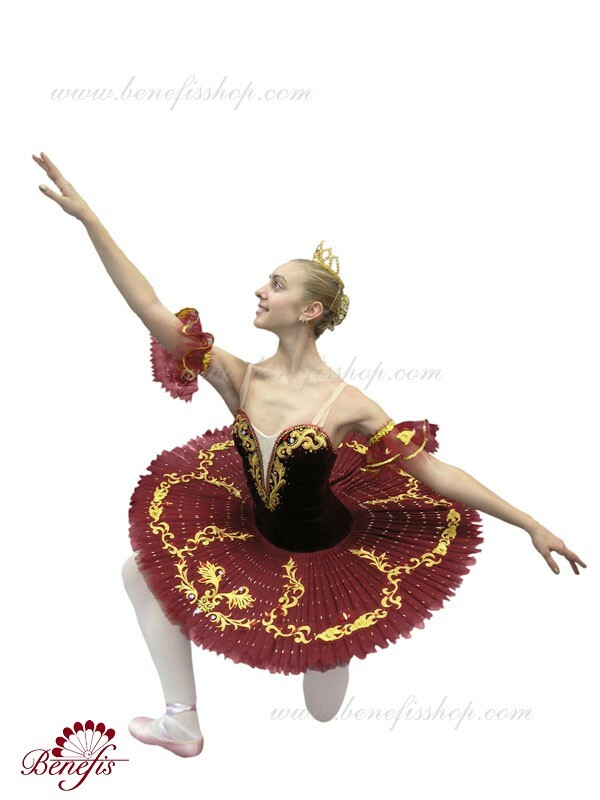 The costume can be used for various ballet variations as “Paquita”, “Don Quixote”, “Raymonda”, “ Sleeping Beauty” etc.